If you’re not familiar with TNL’s “The Mascara Logs”, make sure to click here – it’s kinda our thing. I also talked candidly about my favourite mascara combination in our first mascara log here. Skidaddle and get caught up, so what I’m doing here makes sense to you. I have to admit, I debated for a long time about whether or not I’d share this information with you. That’s when you know you love something; when you want to keep it for yourself, and never, ever share it… Well, except of course with the retailers who are smart enough to carry the item. I never really paid attention to Rimmel mascaras. Ever. Now their lipsticks, on the other hand, I am obsessed with. 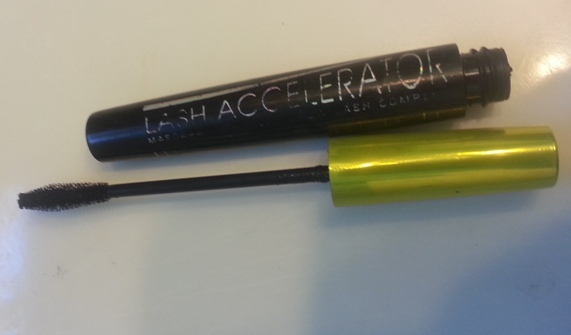 Recently I picked up The Rimmel Lash Accelerator at a discount beauty store a friend introduced me to because it was $5 and I figured: “I could review it for TNL”. Logically, I purchased it. It is described as “the mascara with grow-lash complex”, but I didn’t even pay attention to all of that because I didn’t believe it would actually make my lashes grow anyway. Excuse me while I get some salt to dash on those words before I eat them. The first time I used it, my life changed. No, really, I know I say that a lot! I don’t like fresh mascara (I go into detail as to why in our introductory Mascara Logs post), but from first application the immediate difference was to be noted. The length was SO dramatic and because of this my eyes seemed more open. 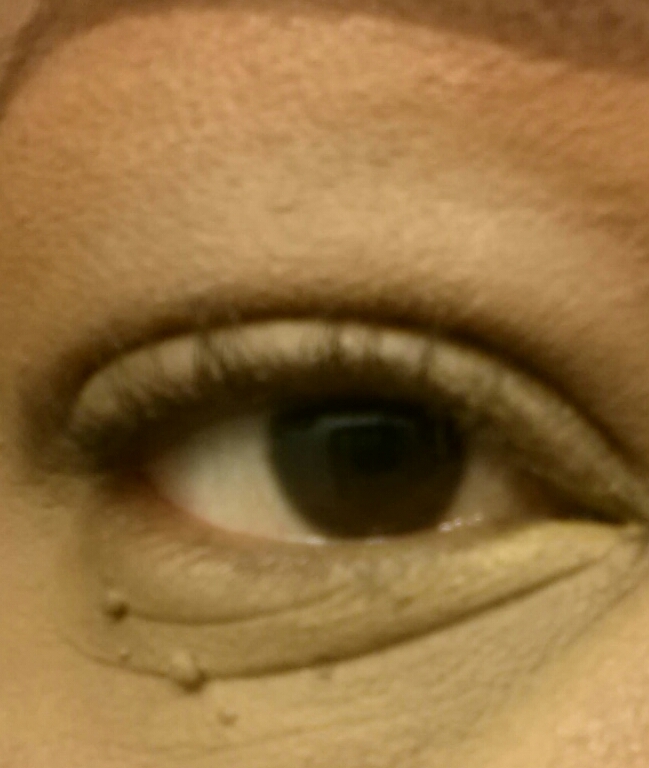 My lashes were lengthened and separated and curled splendidly. So I continued using it. Then some months later, I was saying to Ash that somehow my lashes seem longer. It started to seem like I was always noticing them whenever I looked at my (bare) eyes in the mirror, where I don’t really recall doing that before. They have always been a really good length, but I was noticing them. 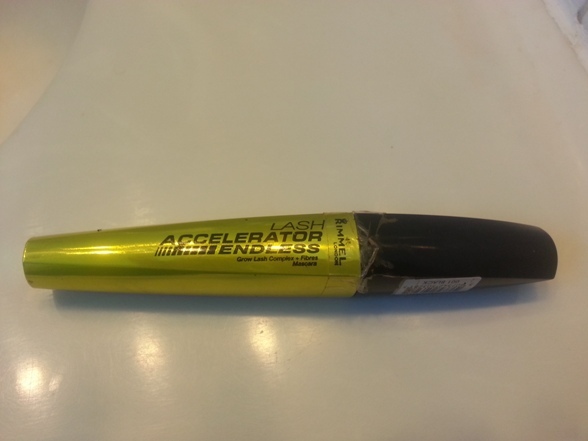 The only thing that I’d be doing different was using Rimmel Lash Accelerator. Hmmm. Off she went to purchase and try it, and she likes it as well. And now, we don’t remember life before it. Fast forward some more months, and Ash informed me while I was in Sydney (read about that TNL Travels installment here) that there is now a Lash Accelerator Endless. I’m sorry, what? Okay hang on – let me get this straight. So, Rimmel, basically what you’re trying to tell me is that you took a really good product and improved it? No, no – impossible. Lash Accelerator Endless is described as the mascara with “grow-lash complex + Fibres mascara” to give “length that defies limits”. Oh, really eh? Off I went in search of this “endless” mascara and when I found it there were indescribable emotions I had to deal with. Okay… Listen – a girl loves her mascara. A good mascara who understands your needs? You hold on and don’t let go. I tried this “endless” business all set to critique it, and I must say I don’t really notice much of a difference from the regular LA, and LA does an AMAZING job. Or maybe I just didn’t really notice that much of a difference as I was expecting, and I’m quite content with LA. Here’s a shot of my eyes with my eyes with LA (right) and LAE (left). 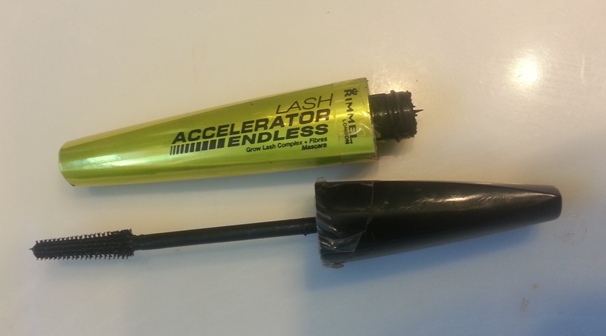 Please note I always start with L’Oreal Double Extend, as featured in the first Mascara Log. The difference is noticed in the shape of the brushes, but I think LA’s shape works well on my Unruly Curlies, and starts working on them from the base all the way to the tip. I’d like to think that LA’s shape as convex, while LAE’s shape is concave. Pros – LA: the formula lengthens, the brush separates and adds volume. It helps your lashes grow and in the end gives great drama. LAE – does the same thing but the brush is different. Cons – neither comes in waterproof (waaah) so they won’t last all day and the formula is very wet and can get on the lid if you’re not careful (this is especially a problem if you have unruly curlies) before it dries. I usually apply L’Oreal False Lashes (waterproof) to finish and they last all day. Have you used these mascaras? What did you think? Share your comments – we’d love to hear from you! I def want to try LAE, it looks like the brush would be easier to handle. Your lashes look great! Thanks! Let me know what you think. And check Walmart before you go to SDM (cheaper of course)! There’s nothing like a good mascara to make your eyes look good! And of course there’s never anything wrong with long dramatic ones 🙂 I love that this can work in place of falsies if a little (but not too much!) drama is all a girl needs…. I only ever want to use the word “drama” when talking about lashes! Haha! I am in the market for a new mascara right about now, so I’m going to try this! Thank you for the review – I love all the TNL reviews, but the mascaras are my favourite! I can’t WAIT to see your lashes with some LA love, Seph!